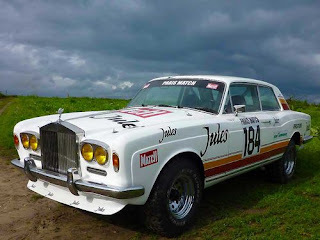 This Roll-Royce Corniche is the first Jules-sponsored Dakar racer. 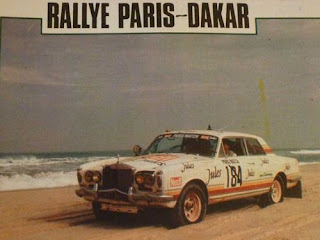 The idea sprouted from a dinner bet over whether a Roller could be raced in the 1981 Dakar Rally. A few months and 2,000 man-hours later, this car was born. The body is made of polyester and the doors, hood, and trunk lid are aluminum. 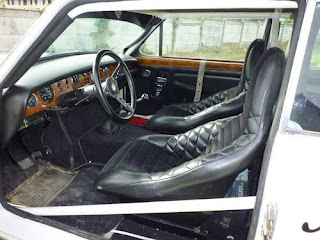 The tastefully crafted wood dash from the original car was kept. The four wheel drive system, suspension, and axles are from a Toyota Land Cruiser. The 4 speed manual is from a Toyota too. 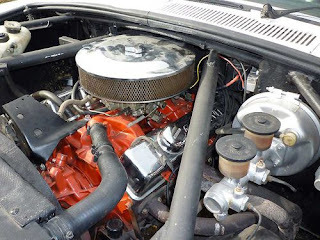 This Frankenstein has a 350 Chevy up front and a 330 liter fuel tank behind the seats. The car was in 13th place when it broke down. It took a while for the car to be fixed so it was disqualified. Nevertheless, the team continued and finished the race. Good news. 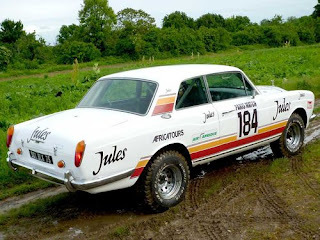 It's currently for sale for 200.000 euros!